Archer Season 5 is coming soon! FX just debuted a new “Archer” Season 5 poster, and Lana certainly is showing her pregnancy. That is the most attention-grabbing part of the “Grand Theft Auto: Vice City”-themed new image, which comes courtesy of Uproxx. Lana flaunts her baby belly while Malory sunbathes, Krieger swims fully clothed in the water and Cheryl/Carol goes country. Just what is actually going on here? 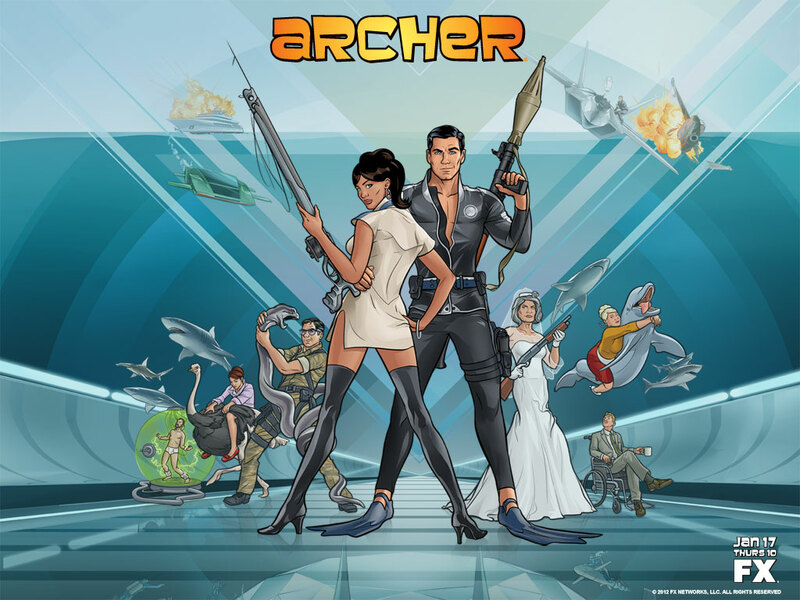 This wouldn’t be the first time an “Archer” promo went pop culture-themed for Season 5. A teaser music video was a recreation of “Top Gun’s” “Danger Zone” that doesn’t seem to actually have anything to do with the Season 5 plot. The case could be the same with this poster. When Zap2it recently caught up with Chris Parnell, he did say that big changes were in store for the ISIS gang. Who knows how Lana’s pregnancy will actually affect the team, especially with her baby’s father yet to be revealed. After many, many years of hinting and teasing, the newest teaser that FX has released for Archer Season 5 has fulfilled a promise that we have all longed for. Sterling Archer is. Going. To. The.DAAAANGER ZOOOONE!